Over the past 27 years we have had the privilege to provide wedding decorations for hundreds of brides. 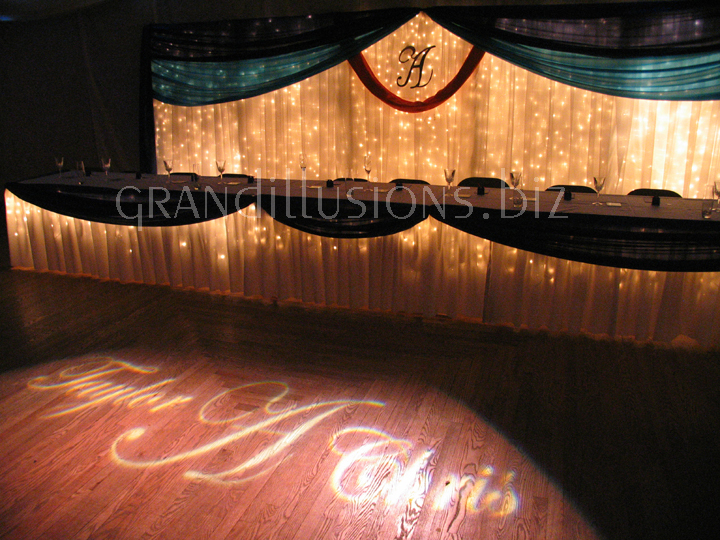 It didn’t matter if their budget was large or small, we paid the same attention to detail with each and every one. Elegant, festive, simple or themed, we’ll create the atmosphere you’re looking for. We’ll take the time to discover how you want your wedding to look and design it for you. When you see the pictures in our Wedding Gallery, remember what you’re seeing is only a sample of what is possible. Without being braggadocios, we literally can do anything. Give us a call. We’ll give you the wedding of your dreams! Click here for a glimpse at what is possible for your wedding. More photos are available here, in our Venue Gallery.